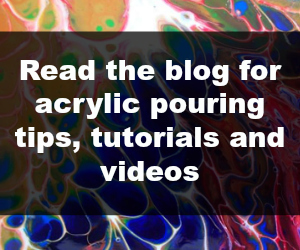 Silicone oils can help you in getting the wonderful cells that give acrylic pouring its signature look and style. Choose from treadmill belt lubricants in dropper bottles, silicone sprays in cans, or dimethicone oil (a skin friendly form of silicone oil) commonly found in personal lubricants and hair conditioners. See a video series of dimethicone tests here. Our favorites are the treadmill silicone oils and the Coconut Milk hair serum.